Today I’m delighted to share a new release with excerpt by the wonderful M.J. Mallon. I’ve been a fan of her blog for sometime and am delighted to announce her debut novel. Scroll down for the excerpt, bio and links. Welcome to another Saturday Interview with a renowned Historical Novelist. Today I have the pleasure of introducing Steve Harrison. Steve Harrison was born in England, migrated to New Zealand and eventually settled in Sydney, Australia, where he lives with his wife and daughter. As he juggled careers in shipping, insurance, online gardening and the postal service, Steve wrote short stories, sports articles and a long running newspaper humour column. In recent years he has written a number of unproduced feature screenplays (although being unproduced was not the intention) and developed projects with film producers in the US and UK. His script, Sox, was nominated for an Australian Writers’ Guild ‘Awgie’ Award and he has written and produced three short films under his Pronunciation Fillums partnership. 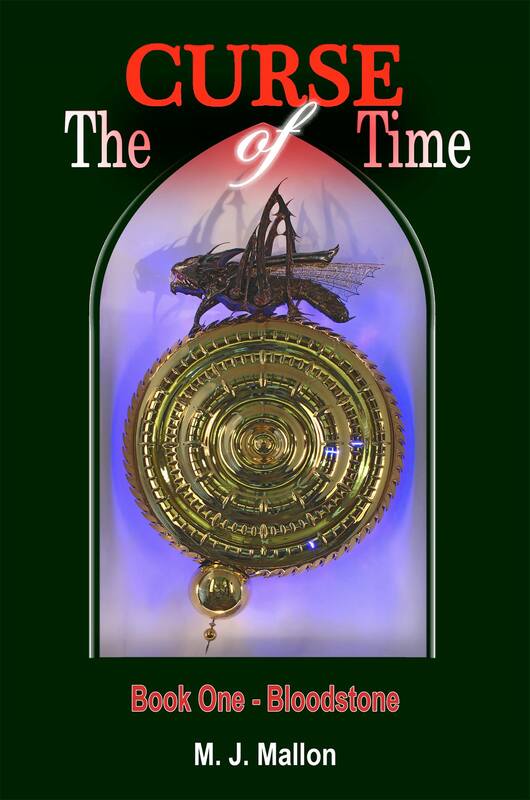 Prior to publication, his novel TimeStorm was Highly Commended in the Fellowship of Australian Writers (FAW) National Literary Awards. n 1795 a convict ship leaves England for New South Wales in Australia. Nearing its destination, it encounters a savage storm but, miraculously, their battered ship stays afloat and limps into Sydney Harbour. Here, the convicts rebel, overpower the crew and make their escape, destroying the ship in the process. Fleeing the sinking vessel with only the clothes on their backs, the survivors struggle ashore. Among the escaped convicts, seething resentments fuel an appetite for brutal revenge against their former captors while, for their part, the crew attempts to track down and kill or recapture the escapees. However, it soon becomes apparent that both convicts and crew have more to concern them than shipwreck and a ruthless fight for survival; they have arrived in Sydney in 2017. TimeStorm is a thrilling epic adventure story of revenge, survival and honour set in a strange new world of unfamiliar technology and equally unfathomable social norms. In the literary footsteps of Hornblower, comes Lieutenant Christopher ‘Kit’ Blaney, an old-fashioned hero, a man of honour, duty and principle, dragged into the 21st century… literally. A great fan of the grand seafaring adventure fiction of CS Forester, Patrick O’Brien and Alexander Kent, and modern action thriller writers such as Lee Child, Steve Harrison combines several genres in his debut novel. 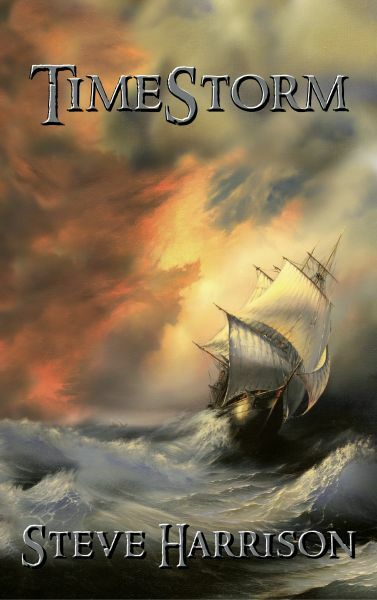 The book was inspired by a replica 18th century sailing ship on Sydney Harbour and a question from Steve’s brother, Tony: “What if that was a real convict ship?” TimeStorm explores that question in a fast-paced story as a group of desperate men from the 1700s clash in modern-day Sydney. Please tell us,why did you choose to write historical fiction? Historical fiction chose me through necessity in order to write my novel, TimeStorm. I have written stories and scripts in other genres, but this particular tale allowed me to write about my favorite period. I have always been fascinated by the epic nature of the Napoleonic period and I have devoured all of Bernard Cornwell’s Richard Sharpe novels, many of them several times. But my greatest love is for the classic seafaring adventurer heroes. My father introduced me to Hornblower, Aubrey, Ramage and Bolitho, among others, and I became absorbed in their worlds of honour, duty, violence and romance. I’m sure actually living in those times would destroy my romantic notions, but from the safe distance of the 21st century it looks like a very lively time. TimeStorm developed from a simple ‘what if’ question by my brother as we watched a tall ship on Sydney harbour more than 25 years ago. He said, “what if that was a real convict ship?” It was like a sledgehammer to my imagination and in a very short time I had the story; a 1795 British navy ship – with a Hornblower-esque hero – is transported through time to present day Sydney, where the convicts rebel and escape. I was able to indulge my love of that historic period together with time travel and modern action thrillers. I had my cake and ate it! Given the disasters that befall my characters, I would have to choose Ship of Fools by World Party. Writing came spontaneously (see above), but I did get a lot of encouragement. I was fortunate to start writing before the internet, at a time when many editors would write back with long critiques of rejected stories. They helped me tremendously, eventually (see above!). I also had a former friend who told me I would never write a book, which was great motivation. Rufus Redmond, the ‘villain’ of TimeStorm. I don’t see him as a villain, as he has a good reason for being the way he is, but he was both frustrating and rewarding to write. I couldn’t control him and try as I might to direct his actions, he always had the last say. All my characters are me, or aspects of me. They allow me to act out those horrible, mean thoughts I daren’t reveal to anyone in the real world, and also be the classic gallant and fearless hero I would like to be. The story and subplots of TimeStorm came to me pretty much whole, right at the start. In fact, I read my original manuscript recently (a horrible experience) and there are very few changes, and certainly nothing significant, in the published version. I can safely say my writing improved over the years, though. I think the books was a one off, though, as my writing is much more organic these days. My small publisher provided an editor and proof reader and it was a very sobering experience. I had gone through the manuscript countless times, but they found so many typos and other errors it was embarrassing. They made me feel better by saying a writer should never (opinion, remember!) edit their own work, because they see what they meant and not what they wrote. If I ever self-publish, I will spend whatever it takes for good professional editing. I have a bee in my bonnet about this subject. I consider all writing advice to be opinion, and in my opinion new writers should challenge or ignore it and find their own unique voice and way of writing. I particularly dislike advice that begins with ‘you should’ or ‘you must’ or ‘you shouldn’t.’ There are no short cuts in writing and, again in my opinion, the best writers are those who made the most mistakes along the way. I do not see the point in avoiding a potentially valuable writing experience just because someone says you should. Discover why you should do or not do something by doing it! Ali has not just written some of the most moving blog posts I have read, but she is also a veritable treasure trove of information on anything Irish. Which is strange, as she’s not even Irish! Indeed, in a blind fit of jealousy I might even claim her as a fellow Greek. 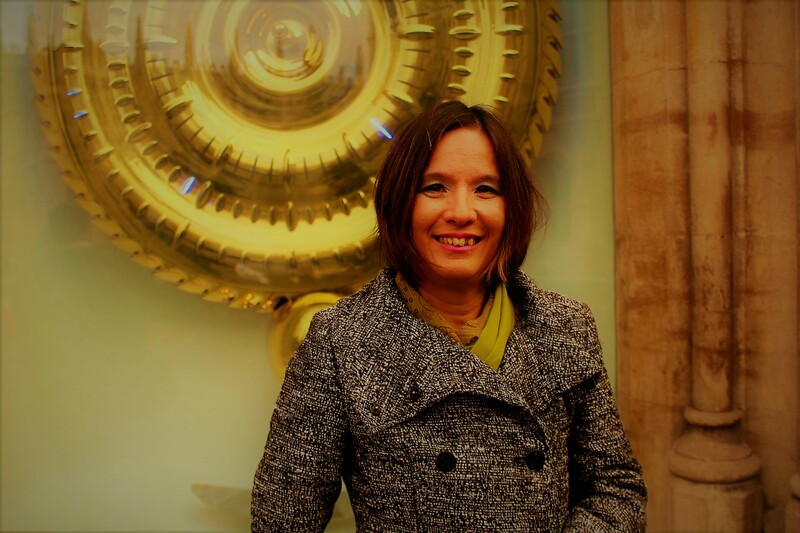 To find out why and discover this remarkable lady, just read on. There is so much more to Irish mythology than ‘The Children of Lir’, as beautiful a story as it is.Those brave or foolhardy enough to step between the veils to enter the magical realm of the Sidhe and learn more risk much, but surely the search for enlightenment is worth the challenge? Hi Ali, wonderful to have you here. Before we begin, can you please explain your connection to Greece? Hi Nick, thanks for having me on your blog. My parents moved from Kuwait in the Middle East to Cyprus when I was about nine. We lived in an old converted goat barn in a little village near Limassol called Ayios Tykhonas. It was quite quaint and undeveloped then. The goat’s manger was made into our sofa, and my bedroom window didn’t even have glass in it, just an old wooden shutter. It was a great place to grow up in. Seven years ago, I was married on the beach of another Greek island calledKalymnos, which is a short boat trip off the coast of Kos. My mum is semi-retired there, and we go there most years for our summer holiday. Be sure to drop by next time you’re around. Still, it’s Ireland that has stolen your heart. Yes, my husband is Irish. I have to say, Ireland was not a place I had any interest in at all until we moved here. I have always been fascinated by archaeology and mythology, a love which started when I lived in Cyprus. When we moved back to England in my early teens, I became obsessed with Arthurian legend. In Ireland, I felt for the first time in my life that I was home, and discovered that I had an Irish great-grandfather. 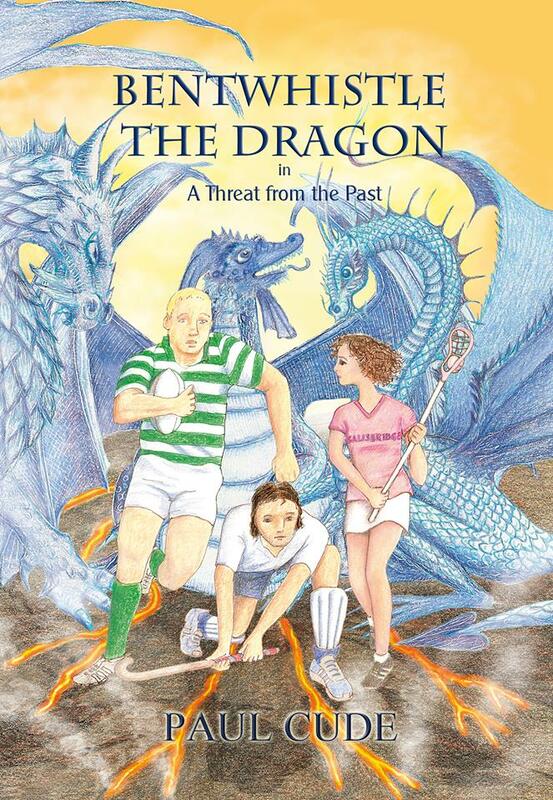 I also discovered the myths about the Tuatha de Danann, and I was hooked. As we’re here today to celebrate the launch of your third book in your Connor Kelly series, I take it the series has been influenced by Irish legends? Of course! This is not actually the third book of the series, but more of asideline really. It occurred to me, from the interest in Irish mythology on my blog, that many people who love Irish mythology might not be interested in reading YA fiction. YA is not everyone’s cup of tea. So I decided to pull out the myths from the series so far and give them their own book. They’re worthy of reading in their own right. 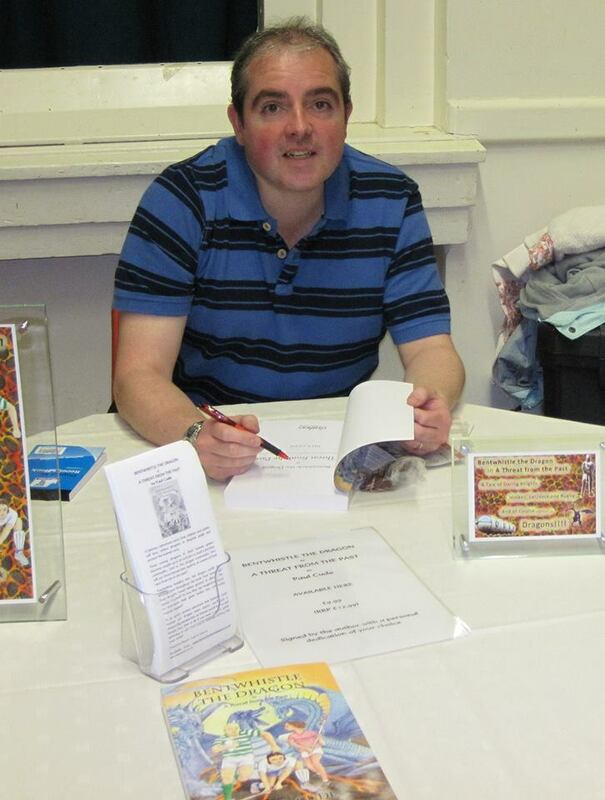 And my aim all along was to introduce Irish myths to an unsuspecting world! I intend to re-write more of them in language people today will understand. That’s brilliant! What inspired you to start the series? I had got a little bored with standard classic fantasy. I was bored with the perfect, handsome hero. I had three aims with this series; to create the ultimate flawed hero, to introduce Irish mythology, and to show thatdisabled people can be as heroic as ‘normal’ people. I have a disabled daughter, you see. My main protagonist, Conor Kelly, is based on her. I wanted to create a strong female lead, too, but that was too close to real life for me, I had to move past it and the only way I could do that was to make the main character a boy. Makes sense. Was the Conor series the first thing you ever wrote? I don’t remember the first story I ever wrote. I was always reading and writing throughout my childhood and into my twenties. The first story I vaguely remember writing was about a dog following a butcher’s delivery boy on his bike because he smelled of sausages, and then getting lost and having lots of adventures before finding his way home. God knows what inspired that one… did butchers ever deliver? Not that I remember. I was about seven at the time. A lovely premise! BTW, our butcher does deliver, so perhaps you were just ahead of your time. What other writing have you done? Anything else published? I wrote a book with Jane Dougherty calledGrá mo Chroí, Love of my Heart, Love Stories of Irish Myth. 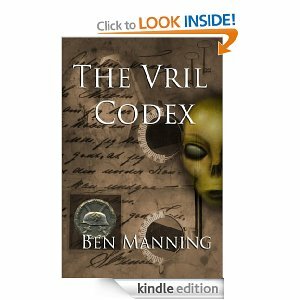 It’s free on Smashwords, if anyone would like a copy! I also write regularly on Irish mythology forIrish Central, and have had several articles published in Brigid’s Fire magazine. And of course, the first two books in my Tir na Nog Trilogy, Conor Kelly and The Four Treasures of Eirean and Conor Kelly and The Fenian King. I’ve recently taken up running. It’s going really well, I’m even thinking of training to run a half marathon! We’ll see. I love visiting archaeological sites, walking in the countryside, and travelling. I have seen the lovely photos at your blog. What are you working on at the moment? Tell us a little about your current project(s). I’m currently working on a YA novella based on the classic tragic Irish love myth. A girl finds a ring which connects her to a fae shape-shifter… of course, it’s not going to end happily ever after! After that, I will be re-writing a set of Irish myths known as The Three Sorrows of Ireland. I hope to settle down to the third and final Conor Kelly story after Christmas. Oh gosh I hate this question, and it comes up often! I’m not like most people, I don’t have a favorite author, as my tastes very widely. In my youth, I used to love Rosemary Sutcliffe, Marion Zimmer Bradley, David Eddings. I still do. But I also love the classics, like Dickens, the Brontes, George Elliot, and Thomas Hardy. These days I read a lot of Indie fiction; I have so many lined up in my Kindle right now, but among those I have loved so far are Craig Boyack, Harriet Goodchild, Patrick de Moss, Jane Dougherty. What do I love about them? They all give me the two things I crave; beautiful writing and escapism. Currently, I’m revisiting a fantasy classic I first read in my teens, Lord Foul’s Bane by Stephen Donaldson. Next, I am beta-reading for an author friend. Two of your books are lined up in my reading queue, Nick, btw! Woo hoo! Thanks – and sorry I asked! 😀 Are you an Indie author? If so, do you have any advice for other indie authors? I most certainly am an Indie author. I don’t give writing advice, because I am still learning myself, and there are so many other authors out there who do it far better than I ever could. But we are so fortunate to live in the digital age where we all have a voice, so I would say, if you think you would like to write a book but haven’t yet, go for it. Just make it the best it can be, and remember that with 6 million other books on Amazon, it won’t sell itself. Wise words indeed. Are there any sites or writing tools that you find useful and wish to recommend? Well there are so many, it’s hard to know which to trust. The best thing to do is make friends with other writers, and then get recommendations from them. When I first started out, I joined Youwriteon.com, which was great. You upload the first 7,000 words of your WIP, and people review it for you, but you have to earn reviews by giving reviews first. Not only do you learn what your own strengths and weaknesses are, but you learn so much from reading other people’s writing too. Also, it quickly teaches you to develop a thick skin, an essential requirement in this business, as some reviewers do not mince their words. They also have a top 20, where you can earn a review by a leading publisher. Nice! Tell us about your website/blog. What will readers find there? I blog about Irish mythology, and the ancient places of Ireland that I visit. I also blog about my journey with my little girl Carys, who was born with a rare syndrome called Cardiofaciocutaneuos Syndrome. I try to support other authors with my Friday Fiction and Friday Fantastic Flash features. It’s a great blog, people. Have a look, if you haven’t already. Now, what are the things in your life that you’re most grateful for? My family, my health and my writing. I’m grateful that we don’t live in a war-ravaged country, that we have a roof over our heads and food to eat. Sometimes, it doesn’t seem like enough, and I get caught up in things that don’t really matter, but that’s just being human. I just remind myself about all the things I do have. It leads to a much happier state of mind. How true. How would you like to be remembered? I’d like to be remembered as a good writer, and a good mother who did her best. Except for a wonderful writer, you’re also known for your poignant and loving posts about life with Carys – your fairy daughter. What has prompted you to share your experience with the world? Up until Carys was about two years old, I had a really hard time coping. Two things helped me struggle through; reading other peoples’ stories and thus knowing I wasn’t alone, wasn’t a bad person, and writing down my feelings. Eventually, I thought I would share my own thoughts in the hope that it might strike a chord with other parents going through similar experiences, and that it might educate people about what it’s like living with someone who has special needs, and what it’s like to be a person with special needs. That’s a hard one. I think I’m a seeker, always looking for something even if I don’t quite know what that is. It’s why I’ve never turned down any opportunity which presented itself to me, even if it was something which scared me silly! Nowadays, I think that journey is more of a spiritual one, despite not being a religious person. Perhaps that doesn’t make sense… I’m still working through it myself. I don’t think you need religion to be spiritual. Men are from Mars, women are from Venus. Where are you from? Somewhere in between the two that hasn’t yet been discovered, I think! Oh yes, the elusive third-and-a-half rock from the sun. Is it true you’ve been abducted by aliens? How did you know about that? It’s not something I talk about! I saw you on the saucer, remember? Name your claim to fame. I was almost betrothed to an Arab prince when I was a child. Tis true! I’ve been on local radio a couple of times, does that count? LOL! I have no claims to fame, I would rather run a marathon than be famous! Well, the Arab prince thing definitely qualifies! Is that the weirdest thing that’s ever happened to you? Can’t tell you that! I might reveal it on my blog one day, but not yet. Not until it’s over. Oh my! Ongoing weirdness – and even weirder that being almost betrothed to an Arab prince as a child? Can’t wait to read all about that! Now, which one do you prefer: Elephants or tigers? Elephants, definitely. I know, tigers are beautiful and powerful, but elephants have such beautiful, gentle souls, unless riled. I wouldn’t want to be one of life’s predators, although perhaps as a human, I already am. You don’t strike me as one, to be honest. If you had to live over again what would you change in your life? You mean if I had to live the same life over again? There’s not much I would change, actually. I think I would learn some languages, I would definitely have travelled more; that is something which is limited since Carys came into our lives. I’d try to be a better sister to my younger sister and brother. Honestly? I’d choose a Greek island! Lovely weather, lovely people, beautiful scenery, fabulous food… and Carys thrives there. And only 31/2 hours flight back to Ireland. Why travel across the universe when you have all that on your own home planet? Ali writes for Irish Central and Brigid’s Fire Magazine, and regularly posts on topics of Irish interest on her blog.